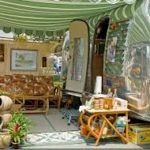 The Greater Philadelphia RV Show is Tomorrow!!. We’ve given you our #1 and #2 things to look forward to, but we were only halfway! 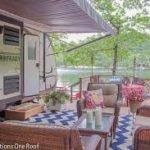 There are a lot of great things that go along with RVing — gadgets, gizmos, and thingamajigs. 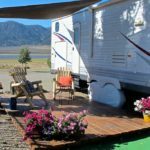 We understand the extras that go along with RVing. That’s why we built HD Indoor with the free air pump, vacuum, dump stations and NOW — RV Wash. But, that is for www.hdindoorstorage.com. 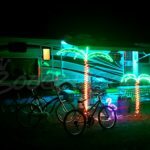 This is about the RV Show coming to our neck of the woods in Oaks, Pa starting February 28th. And if you haven’t been to the Philly RV Show before, put on your Pirate hat — it’s time to hunt for treasure. This is the great unknown — those RV extras that you didn’t even know you needed. We don’t know what will be at this year’s RV show. But, we do know this: Be prepared to buy. This learning comes from a cautionary tale of last year. While walking around the RV show, I saw the sharpest condiment holder. It was a little picnic table that held ketchup and mustard. It was handmade and decked out with different sports teams. I did not buy it. And I have regretted it all year (actually two years now). So, I am hoping it is there because I need to move on. 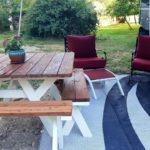 It would give the awning area of our RV site that extra bit of personality I am always striving for. We love walking around and checking out people’s campsites when we travel. And we love to deck out ours. 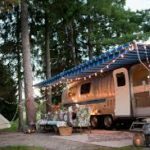 The RV Show is a great place for those unique, handmade accessories that will spark a conversation at the campground. We hope to find some new treasures at this year’s show. If you are there condiment holder, I will find you. Since I have updated this from last year. You know I still haven’t found my condiment holder. But, I will share some of my treasures from last year: Ice Wine from the Cardinal Hollow Winery and awesomely BEAUTIFUL handmade chocolates from Chocolate Moonshine. Just called they will be back!!! Have you heard any good pirate jokes? Well, neither have ayyye. By the time you stop laughing, it will be time for #4 — stay tuned.